Friday’s storm is winding down throughout the Entrance Vary, with impressive snowfall totals within the mountains, foothills and southern suburbs. Search for lingering mild snow early Saturday morning, mainly south of the Denver Metro Area. 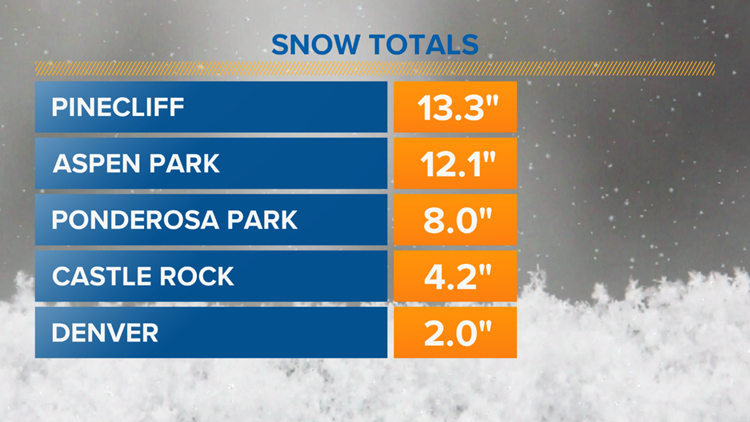 The heaviest snow was seen in the southern and western Denver suburbs, including Citadel Rock, the western foothills of Douglas County, and the southern foothills of Jefferson County. Many neighborhoods surrounding downtown Denver saw 2 to five inches of snow. Additional south, near Citadel Rock and the Palmer Divide, 5 to 9 inches of snow amassed. Foothill places will see 8 to 14 inches of snow by the time this technique wraps up Saturday morning. Click right here for the newest snowfall totals throughout Colorado. After the storm exits Saturday morning we’ll have some partial clearing with a cool day. 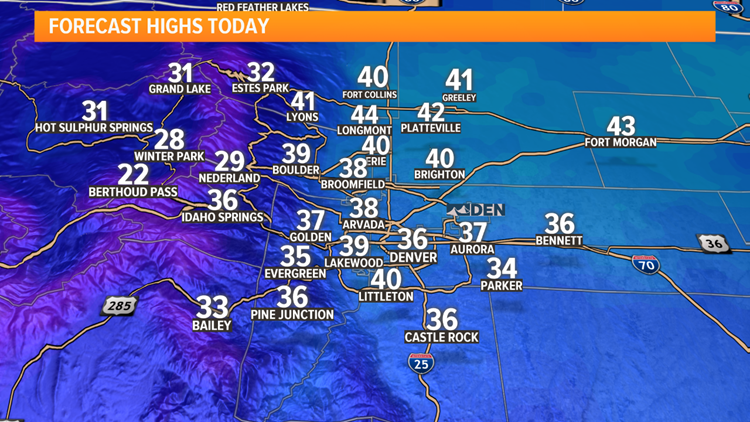 Highs are forecast to be within the mid 30s. Sunday might be partly cloudy and dry.